A personal loan is a great financial tool to help you get the funds you need to realise your dreams and goals. Perhaps you are in the market looking for a personal loan, but what exactly is a personal loan? How does it work? What should you consider, when comparing personal loans? 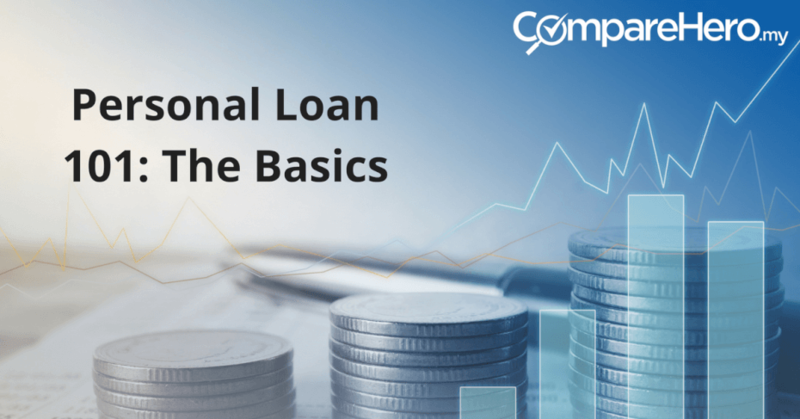 Read this guide for a comprehensive look at the basics of a personal loan. A personal loan is a type of loan that is issued by banks and financial institutions. It is the perfect solution when you are in need of extra funds to finance personal expenses like your home renovations, holidays, education costs, business, medical bills or anything else. Personal loans give you the financial flexibility to use the funds as per your convenience and needs. Personal loans are also known as unsecured loans because you are not required to put up your assets as collateral when applying for the loan. Because of this, the bank takes on a higher risk when lending money. Therefore, to justify this risk, banks will charge a higher interest rate than on secured loans. You should consider using a personal loan to cover expenses that you are able to afford paying off. With a personal loan, banks will assess your eligibility and credit score to determine if your loan application is approved or rejected. 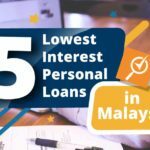 What other loans are available in Malaysia? A secured loan that requires you to put up your assets as collateral such as a car or mortgage loan. An overdraft facility that allows you to withdraw more money than you have in the bank account and is also known as a cash line facility. A hire purchase loan or car loan is a financial package that allows you to buy your automobile of choice – a car, a motorbike, a van, a truck, a lorry, etc. A mortgage loan that allows you to purchase your home for living in or for investing purposes. This guide mentions unsecured loans (personal loans) and secured loans (car or property loans), but knowing the difference between the two is crucial. A secured loan is one where the loan amount borrowed is tied to an asset (or collateral). This means that the asset you have tied to the loan belongs to the bank until you have fully repaid the full loan amount. The total overdraft amount is usually decided by banks, based on what you pledge as collateral to the bank. So if you were to pledge a property worth RM500,000 you would be able to get up to 50% of what you pledge, which in this case would be RM250,000. But the calculation method for an overdraft limit is based upon the bank’s discretion and can therefore vary. Flexibility as an overdraft provides you the freedom to decide how and when you make repayments as there are no fixed repayment schedules. You decide when you want to settle both the interest and principal amount. You can work out a payment schedule that works best for you. Although an overdraft facility allows for flexible payments, you will be charged higher interest rates for this facility. A commitment fee is a fee that is charged by banks to you for the unutilised amount of your overdraft. And it is very important that you understand that the commitment fee is charged on the undisbursed amount, while interest is charged on the disbursed amount that has been utilised. This means you pay some money for simply having access to money oin case of emergency. While the flexibility of an overdraft is a great advantage, it could also be the downside to this facility. If you don’t have enough discipline to make sure that you pay it through, an overdraft can become a long-term financial burden on you. If you are not disciplined with your payments, you may end up losing the asset you pledged on top of being charged hefty interest rates! Although an overdraft facility allows for flexible payments, you will be charged higher interest rates for this facility. You won’t be tied down to any fixed repayment schedule, giving you the freedom to decide when and how much you would like to pay. A personal loan, on the other hand, is based on an agreed term with repayment schedule and (generally) lower interest rates. A car loan, or better known as a hire purchase loan, is a financing option which allows you to own the vehicle of your choice. You can use this type of loan to purchase new and used cars, with flexible payment terms of up to 9 years that are broken down into affordable monthly repayments. The monthly payment is usually a fixed amount regardless of what happens to the interest rates. It’s known as a hire purchase loan because the car belongs to the bank until you have completely paid off your loan. It is as if you are renting the car from the bank. If you fail to make repayments, the bank has the right to repossess your vehicle. What is the difference between a personal loan and car loan? When it comes to buying a car, some people may actually prefer applying for a personal loan rather than a car loan. There are several reasons for that and they are also the factors that distinguish a personal loan and a car loan. A personal loan which can finance an amount as high as RM150,000 allows the person to use the funds and repay the loan with a flexible structure. You can choose the tenure period and settle the loan earlier without charges (for certain banks) with a personal loan. However, interest rates for personal loans tend to be higher than car loans and the rules to apply for a personal loan are stricter than a car loan, generally speaking. A car loan/auto loan will be structured with a tenure period of 3, 5, 7 or 9 years for repayment and generally has lower interest rates. However, you will not be able to get the title (ownership) of the car until you clear your car loan. Hence, a car loan is actually a secured loan, where you have to put your car up as an asset when you apply for the loan. If anything happens and you are unable to repay the loan, the bank will repossess the asset (car). Hence, it is subjective to your situation and preference when it comes to choosing a personal loan or a car loan to finance your car. Buying a home is a large financial commitment and most times, we need to take out a loan before we can afford to buy one. A loan that is used to finance the purchase of a home is known as a mortgage or a property loan. The property is secured as collateral to the loan. Depending on your age and the amount of debt you have, the loan can stretch up to 30 years with monthly instalments spread across those 30 years. A mortgage loan makes owning a home more affordable. This is most likely going to be one of the biggest purchases you’ll ever make but because you can spread the total amount into monthly instalments over a few decades, the amount you repay is more manageable. A mortgage is a cost-effective way of borrowing, with lower interest rates because the loan is secured against your property. You pay back a lot more than you originally borrowed. Even though the monthly instalments seem affordable, the interest charged means that you end up paying more than you borrowed once your term is over. You are carrying a large debt over a very long period of time, and you have no choice but to keep up with the repayments, otherwise you lose your home. What is the difference between a personal loan and a mortgage loan? 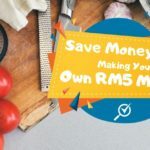 A personal loan usually offers the borrower financing of up to RM150,000 in Malaysia while a mortgage loan can offer the borrower millions of ringgit depending on the property’s valuation you are trying to buy. To be more precise, a personal loan can be used to fund any personal financing needs including home decoration, business or travel while mortgage loan is mainly used to fund a property purchase. On top of that, the maximum tenure period of a personal loan is ten years while the tenure period for a mortgage loan can go as long as 35 years due to the high capital involved. You should also take note that charges, fees, terms, and condition vary across these two types of loans such as stamping fees and processing fees. Some people however, use a personal loan in conjunction with a mortgage when they take out a personal loan to make the 10% down payment for their house. A personal loan is a type of instalment loan. Rather than having no fixed payment terms and (possibly) fluctuating interest rates, like a credit card for instance, a personal loan has a fixed repayment term and carries a fixed interest rate. If your personal loan application is approved, you will receive the lump sum amount that you applied for and then pay the bank back in regular monthly instalments back. The monthly repayment amount includes the principal amount plus fees and interest. This means, your monthly repayment is not calculated on a reducing balance. The interest rate you are charged on your loan depends on your credit score and credit history, which varies from person to person. Rates also differ between banks. Personal loans typically have shorter repayment periods than other types of loans, ranging between 6 months to 10 years. Before applying for a personal loan, be clear of your financial goals and financial appetite. Always remember, a personal loan is a financial tool, not a cure-all to your financial problems. Here are 6 things you need to consider before applying for a personal loan. What are the interest rates on personal loans? Remember to review the interest rate charged on the loan. A flat interest rate which is also known as simple interest means the interest rate is charged on your full principal throughout the loan tenure. This type of interest rate method is usually used for personal loans and hire purchase loans. Interest rates for personal loans range between 4.99% – 24%. The advantage of taking a loan with a flat interest rate is that it does not fluctuate, which means the interest rate will remain constant and does not fluctuate throughout the loan tenure. Another advantage of this type of interest rate is that it is easy to calculate your interest cost. What is the tenure of personal loans? The maximum loan tenure as set by Bank Negara Malaysia is 10 years. However, banks will determine the repayment period based on your credit profile and amount borrowed – which can range between 6 months to 10 years. On average, most banks offer a loan tenure of 7 to 8 years. Loan tenure is important to factor into your decision as it will help you calculate the amount of interest you are going to pay over your loan period. A longer tenure means lower instalments, but make sure it matches with what you are buying. For example, if a car’s value begins to drastically drop after the first 5 years, don’t take a 7-year loan. What documents do I need for a personal loan? How fast can I get approved for a personal loan? Consider approval times to ensure you receive the money in time to finance your expenses. The approval process is much faster these days and you can now even get your personal loan approved within 48 hours to even under an hour. Remember to bring along your MyKad and any necessary documents required by the bank to speed up the process even further. What are the charges and fees involved with a personal loan? There are various stages in life where a personal loan can help you achieve your goals and dreams. If used correctly, a personal loan is a powerful financial tool that can turn any challenging financial situation around. Personal loans are a great choice to provide you with the immediate cash flow you need for all of your goals. With a fixed interest rate and repayment terms, you can definitely plan in advance to enjoy full control over your budget and start chasing your dreams. Can a personal loan help to further my education? It’s never too late to get that Master’s or Doctorate that you always wanted, as learning is a life-long process. In Malaysia, postgraduate programmes can range from RM20,000 up to RM65,000 for a Master’s Degree in Business Administration at either local or international universities. Think of it as an investment that will pay off dividends for your career in the future. Is a personal loan a good option when renovating my home? I need to expand my business; can I use a personal loan? Personal loans can be used for more than your own personal usage. For those of you who run your own business, sometimes you may find yourself in need of additional funds for a variety of reasons. Say for instance your business inventory was slightly damaged in a fire, and you decided that it was not worth claiming insurance over something so minor. That is when a short-term personal loan is perfect to give your business a cash flow injection to help you out of a tough spot. What if I need extra cash for emergencies? Can a personal loan help? There’s no telling when life can throw you a curveball, so sometimes you might have to access additional funds in a hurry. Some banks even provide you with the money within a day or two. So, whether your home needs to be repaired or you have some medical expenses that have exceeded your savings, a personal loan can help you out in a pinch. I have many debts and I want to consolidate it into a single loan. Can I do this with a personal loan? If you want to combine all your debts (such as your car loan and credit card debt for instance) into one fixed interest rate and fixed monthly repayment with a specific repayment period, you can use a personal loan to do so. By doing so, you will save money with a lower repayment every month, or restructure your financing into more affordable repayments over a longer period of time. I’m getting married and need a bit more money to cover the costs. Should I get a personal loan? If you’re in need of extra cash for your engagement, wedding, or honeymoon, a personal loan can be a great solution. You can use a personal loan to book the wedding venue, pay for that dream wedding dress, or even for smaller expenses like wedding flowers and a photographer. A personal loan gives you the financial flexibility. I have medical bills to clear, will a personal loan be able to help? Medical expenses are not cheap and they can creep up on you. A personal loan can help you finance these costs including dental, surgery, treatments, and more. Just be sure that these aren’t already covered in your medical insurance or life insurance. I need to buy a car and I don’t think I qualify for a car loan. Can I use a personal loan instead? Most of the time, we use a secured loan like a hire purchase loan to buy a car as the interest rates are typically lower. This means that the car is put up as collateral when you take out the loan. However, if you find that you are not eligible for a hire purchase loan, because you don’t meet the minimum requirements, you can opt for a personal loan instead. You can also use the loan to buy your next motorcycle or scooter. Can I use a personal loan to fund my vacation? Vacations typically don’t require a loan and won’t cost you tens of thousands. However, if you’re eyeing a cruise around the Greek islands, or luxurious stay at an exotics island, it can get pricey. A personal loan can be a way to fulfil your dream vacation and that trip of a lifetime however, it may not be the best financing option so consider other financing tools first. Is there a limit to the amount I can borrow for a personal loan? How is this calculated? Many Malaysian banks and lenders can lend from RM1,000 up to RM200,000, depending on the borrower’s credit history or rating. Most banks and lenders set an upper limit on how much applicants can borrow, which can range from three to four times the amount of their current salary, or a fixed amount, to ensure you don’t overextend your finances. Whichever amount is lower will be the highest amount the borrower can have. What are personal loan interest rates and how is it calculated? This means you are paying RM292*60 in interest. 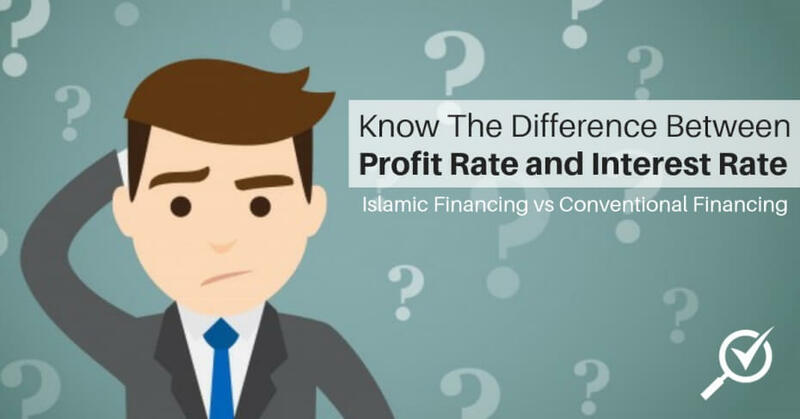 Because the RM292 does not change during the duration of the loan, while you are paying down, while the principal amount goes down, the actual interest rate calculated over the amount you still owe the bank is higher than this ‘flat’ interest rate. Lowest interest rate loans typically range between 4.99% to 8% and as of July 2017 these include the Alliance CashFirst Personal Loan, Standard Chartered Cash One, HSBC Amanah Personal Financing-i, Bank Rakyat Personal Financing-i, and Ambank Personal Financing-i. What is the monthly instalment repayment on my personal loan and how is it calculated? This amount varies from person to person depending on the amount borrowed and the loan tenure. How do I check my how much I have left to pay back? The most convenient way to do so would be to contact the bank that has disbursed your personal loan application. You can do so over the phone by calling their hotline and after a few verification checks, you will be able to find out the remaining balance to repay on your loan. You can also walk into any branch and speak to a customer service representative. Alternatively, if your loan information is linked to your online banking account, you can log-in to your account online and view details of your loan facility with the bank. Is there a late payment fee if I don’t pay back my monthly instalment on time? Whether it is repayment for a personal loan or your credit card, you will be charged late payment fees and other finance fees. The Late Charges is 1% per annum on the amount in arrears calculated from the overdue date till date of full monthly repayment. If you have problems meeting your monthly repayment amounts, contact your bank to discuss financing options. 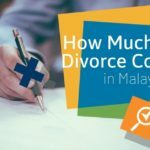 What is the most expensive loan in Malaysia? 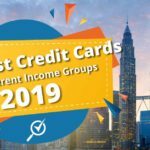 CIMB Xpress Cash Financing-i is one of the most expensive personal loans there is in Malaysia, with a staggering flat interest rate of 24% per annum. However, it’s minimum income requirement is only RM800. This makes it a very accessible option for those in the low-income group and may be the only financing option they have. Find the right personal loan for you based on your borrowing amount and the reason you are applying for a personal loan. 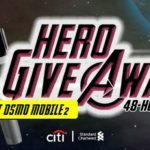 By visiting financial comparison sites like CompareHero.my, we do the hard work for you. With our free comparison tool, all you need to do is key in important details to help us narrow down the best personal loans for you. Within 30 seconds, we’ll be able to offer you a range of personal loans that work for you based on the products that are available in the market. Be sure to review the borrowing limit, approval times, interest rates, and minimum requirement for a successful personal loan application. Research is key and each bank will offer you a different personal loan, find the one that works for you best. You will also need to check your credit score and you can do this with the various agencies including CTOS, CCRIS, and RAMCI to name a few. Knowing your credit score will help you determine if your application is likely to be approved or declined. A healthy credit score shouldn’t face any issues; however, an unhealthy credit score may need to be fixed and these improvements could take up to 6 months to reflect in your credit score. The interest rates online are advertised and may not necessarily be the interest rate that you will be offered by the bank. Why? Because the bank reviews each application individually and interest rates are usually determined based on your credit score and your monthly income. 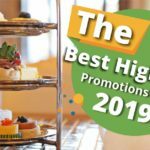 Some are also based on loan duration or your type of employment whereby preferential rates are given to Government sector employees, Private sector employees, and so on. Once you’ve found the right credit card for you, you can proceed to apply online via our website and be sure to submit all the required documents. Or if we currently don’t have a deal with the bank of your choice, you can proceed to the bank’s website. 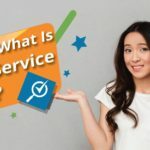 Online applications usually take up less time but if you prefer to speak to a customer service representative, you can walk into a bank branch and apply with them face-to-face. Just be sure to have all the required documents handy. How long will it take to apply for a personal loan? If you’re applying for a personal loan online, the actual process doesn’t take much of your time, perhaps 10 – 15 minutes max. If you’re walking into a bank branch, this would depend on the speed of the service provided. Each bank also has their own approval times and may range from same-day approval to up to 48 hours. Some fast approval loans include RHB Easy-Pinjaman Ekspress, Alliance Bank CashFirst Personal Loan, Hong Leong Personal Loan, or CIMB Cash Plus. While there is no limit to the number of personal loans you can have, banks may not approve your application if you currently have a personal loan under your name. This is because banks review your credit history, credit score, monthly income, repayment patterns and debt service ratio when deciding to approve or reject your application. If a bank believes you are servicing too much debt, your second loan application may be rejected. We also know that personal loans come with much higher interest rates as it is an unsecured loan (see above) therefore, we do not recommend taking out multiple loans as this can be very expensive. Rosie has a net monthly income of RM6,000 and is currently servicing two personal loans and one housing loan that cost her RM4,000 every month. Can two people apply for one personal loan? Yes, this is known as a joint name loan. If you take a joint name loan, the earning power of all the borrowers are also taken into consideration. However, both are fully responsible to repay the loan and any failure to repay will reflect badly in both individuals credit score. If one of the borrowers loses their main source of income, the burden to repay the loan then falls on the second borrower in full. Can I borrow the amount I need? You may request to borrow the amount you need, however if this loan amount is approved is within the discretion of the bank. You may not receive the full amount and in fact, may have an approved loan of a lower amount. Again, this is because your maximum loan amount is dependent on a few factors including your monthly income, credit history and credit score and debt service ratio. Please see the section on Things to Consider Before Applying for a Personal Loan and Charges and Fees for more information on borrowing limits. 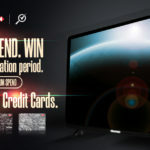 I want to take a personal loan to settle my existing loans and credit card debt. Can I? Yes, you can, in fact this is one of the more common reasons for Malaysians to apply for a personal loan. You may use the personal loan for debt consolidation or to repay your credit card debt, provided that the interest rate of the personal loan is lower than your credit card’s interest rate. Read more about debt consolidation here. Is a personal loan taxable? No, personal loans are not considered taxable income and you do not have to report it in your annual tax returns. 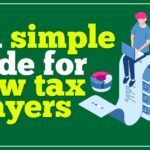 You will only have to pay taxes on the money that you earn through your work or your assets. Do personal loans require down payment? Unlike secured loans such as a hire purchase (car) loan or a mortgage (property) loan, personal loans do not require a down payment. Secured loans typically require you to make an upfront down pay of 10% and to borrow the remaining 90% from the bank. 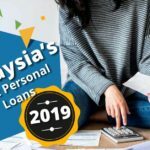 Which banks provide personal loans in Malaysia? How do banks make money from personal loans? In order to make a profit, they lend money at rates higher than the cost of the money they lend. Banks typically make money off the interest that they charge on the loan, in addition to any fees that may come with your loan application. Some banks also make money from the fees and charges that come with your personal loan including stamping duty, processing fees, late payment fees, and earlier settlement fee.